Dimensions 1 by 5.25 by 6 in. Love in old age; Fiction. Amazon.com description: Product Description: From New York Times and internationally bestselling author Isabel Allende, an exquisitely crafted love story and multigenerational epic that sweeps from San Francisco in the present-day to Poland and the United States during the Second World War. In 1939, as Poland falls under the shadow of the Nazis, young Alma Belascoâs parents send her away to live in safety with an aunt and uncle in their opulent mansion in San Francisco. There, as the rest of the world goes to war, she encounters Ichimei Fukuda, the quiet and gentle son of the familyâs Japanese gardener. Unnoticed by those around them, a tender love affair begins to blossom. Following the Japanese attack on Pearl Harbor, the two are cruelly pulled apart as Ichimei and his familyâlike thousands of other Japanese Americansâare declared enemies and forcibly relocated to internment camps run by the United States government. Throughout their lifetimes, Alma and Ichimei reunite again and again, but theirs is a love that they are forever forced to hide from the world. Decades later, Alma is nearing the end of her long and eventful life. Irina Bazili, a care worker struggling to come to terms with her own troubled past, meets the elderly woman and her grandson, Seth, at San Franciscoâs charmingly eccentric Lark House nursing home. As Irina and Seth forge a friendship, they become intrigued by a series of mysterious gifts and letters sent to Alma, eventually learning about Ichimei and this extraordinary secret passion that has endured for nearly seventy years. Sweeping through time and spanning generations and continents, The Japanese Lover explores questions of identity, abandonment, redemption, and the unknowable impact of fate on our lives. 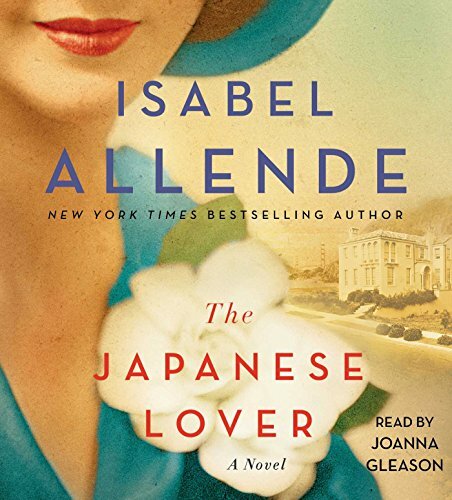 Written with the same attention to historical detail and keen understanding of her characters that Isabel Allende has been known for since her landmark first novel The House of the Spirits, The Japanese Lover is a profoundly moving tribute to the constancy of the human heart in a world of unceasing change. About: A multigenerational epic by the New York Times best-selling author of The House of the Spirits follows the impossible romance between a World War II escapee from the Nazis and a Japanese gardener's son, whose story is discovered decades later by a care worker who would come to terms with her past. About: Named one of the most anticipated novels of the year by New York Magazine, The Wall Street Journal, Entertainment Weekly, Cosmopolitan, Harper’s Bazaar, Publishers Weekly, The Huffington Post, and more. About: From New York Times bestselling author Isabel Allende, “a magical and sweeping” (Publishers Weekly, starred review) love story and multigenerational epic that stretches from San Francisco in the present-day to Poland and the United States during World War II. About: From "New York Times" bestselling author Isabel Allende, a magical and sweeping ("Publishers Weekly," starred review) love story and multigenerational epic that stretches from San Francisco in the present-day to Poland and the United States during World War II. About: From New York Times and internationally bestselling author Isabel Allende, an exquisitely crafted love story and multigenerational epic that sweeps from San Francisco in the present-day to Poland and the United States during the Second World War.